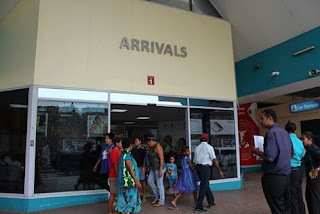 The Member for Nuku wants the Papua New Guinea Government to address what he claims is the illegal invasion of foreigners into the country. "The Government must establish a national security taskforce to do this job, because it is a serious threat to PNG's national security," Joe Sungi said. Foreign Affairs and Immigration Minister, Rimbink Pato, said he will look into the issue as a matter of national concern. Northern Governor, Gary Juffa had complained in Parliament of the same in his province, alleging a syndicate involving Asians and officers within the Department of Labour.